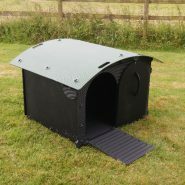 A great versatile product to use as a shelter from the elements and the sun for your poultry or as a house for ducks and geese provided they are in a fox proof enclosure. End panels can be purchased separately. Very simple to construct , very robust , easy to clean , maintain and no fear of the dreaded red mite. You can order for product to be delivered for an extra £20.00 for an address in England . Domestic chickens are descended from jungle fowl and are used to having some overhead cover from airborne predators. They also need protection from the elements. This field shelter provides cover from rain, wind, hail and, in the height of summer, it provides shade. 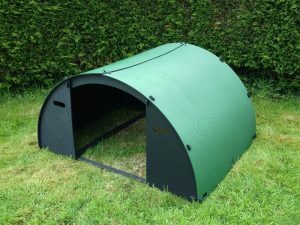 It is also ideal for placing food containers underneath, so that the chicken feed is kept dry.The shelters are robust, yet can be quite easily moved using the carrying handles. Stakes are provided to anchor the house to the ground, which should prevent it blowing away in a high wind. 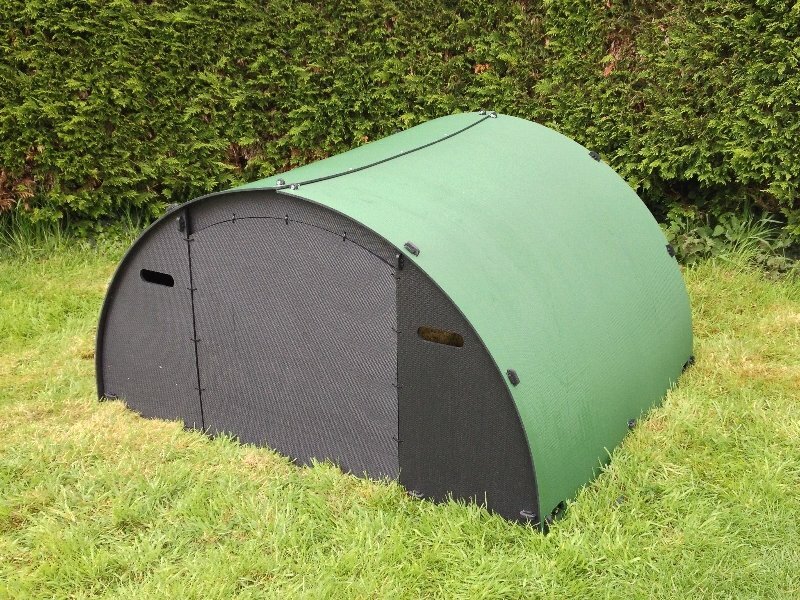 We can also provide an end panel in black that fixes to one side with cable ties. 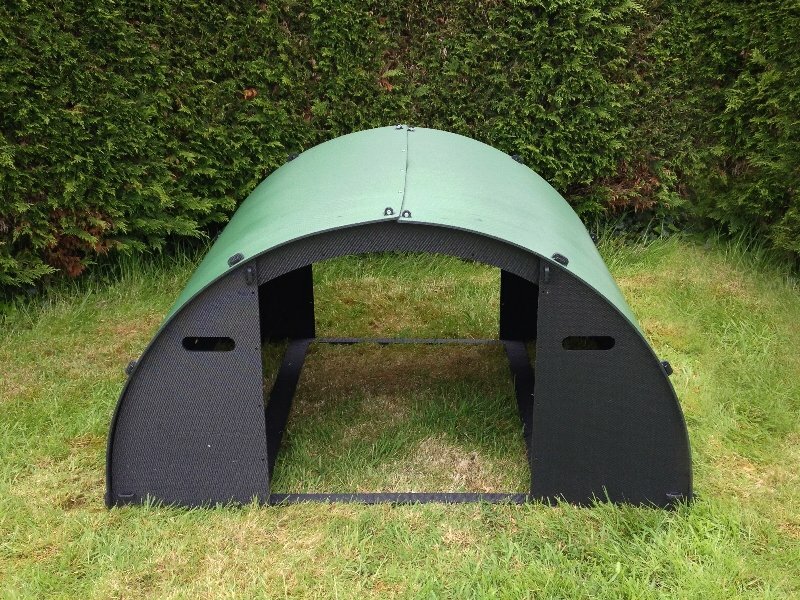 This will provide extra protection from the elements, which can be useful in exposed locations. Be the first to review “The Field Shelter” Click here to cancel reply.